Crossflow fans are used throughout the electronics, food service and printer industries because they provide a low noise ratio and an even, two-dimensional airflow across the entire length of the impeller. They have a long, rectangular shape and feature either an alternating current (AC) or direct current (DC) motor. Because of their long and narrow shape and air flow pattern, cross flow fans are also referred to as tubular fans or tangential fans. Is There a Difference Between Cross Flow Fans vs. Centrifugal Fans? Centrifugal fans are also referred to as blower fans or “squirrel cage” fans because the fan wheel resembles a hamster wheel. The impeller of a centrifugal fan consists of a casing with a central shaft surrounded by blades that form a spiral. As the impeller rotates, the air moves in a perpendicular motion from the shaft to the fan casing opening. Cross flow fans feature a housing with a rear wall and a vortex wall; within that housing is an impeller surrounded by forward curved blades. When air moves through a cross flow fan, it flows transversely and passes through the blades twice. They are different than centrifugal fans because the air flows through the fan itself rather than through an inlet. 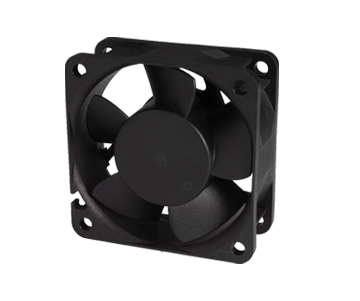 They provide high pressure coefficient and its quiet operation makes AC cross flow fans a favorable option for a range of applications. We also provide value-added features for our AC cross flow fans to meet your unique application requirements. 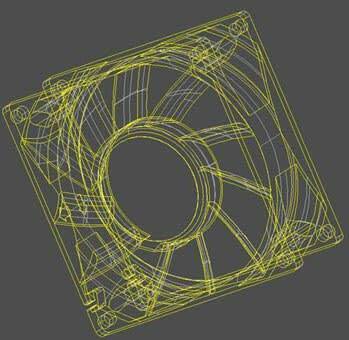 Request a quote for tangential fans or contact us to discuss your AC cross flow fan requirements. We also offer 36-190 CFM AC Cross Flow Fans and 20-223 CFM AC Cross Flow Fans, as well as DC Cross Flow Fan options to meet your cooling and air flow requirements.